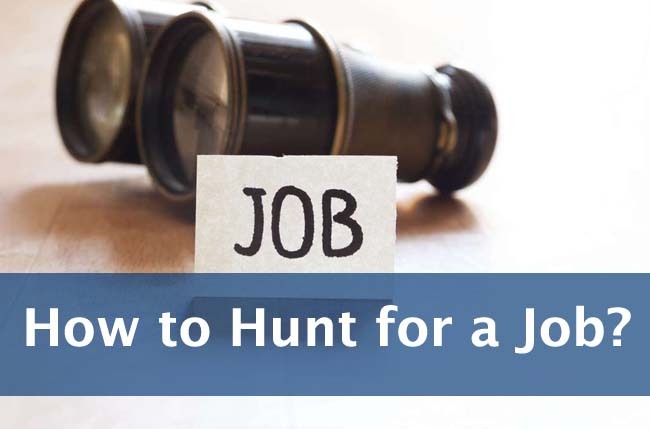 How to Hunt for a Job? Here, we are going to discuss the most effective job hunting techniques that will help you a lot. There are a lot of people who are doing their jobs but are not satisfied. They are in the search of such jobs where they will get a chance to grow their career. Either you are a student and want a new job or you are currently doing a job and want a replacement. Our job hunt techniques will always help you out to get the dream job. Also see: how to find your dream job? You know, there are a number of people who are applying for a single seat. The main thing that you must consider if you want to get the job of your desire is making your CV unique and attractive. In your resume, try to adopt an attractive layout that is not common. You can’t even imagine how much important the resume is. You will be amazed to know, 60% of your hiring depends on how your resume looks like. So, increase your chances of hiring by spending time on making a resume. What are the two ways to keep your resume attractive? This is the fact if you will take the insider recommendation; your chances of get hired will increase. Before applying in a particular organization, make sure if any of your family member or friend is working in it. If he will recommend you, it will build a great impression and you can get an extra favor. There are a lot of posts that are not diagnosed online. Your inside recommender can also help you to know some hidden job opportunities at their firm. It is preferable to apply with different resumes for different jobs. This technique is beneficial when you want to apply for several categories in the same industry. Your different resume will make a good impression and will increase the chances of your hiring. Make sure, your resume has the relevant information so that the recruiter doesn’t find it useless. We have another option for you. If you are not interested in changing the overall resume. You can make the changes in the same resume. You can modify it and make it more interesting and attractive to read by the recruiter. It can also build a great impression on the recruiter. The recruiter will always hire you if he will find your resume unique than others. According to the research, email game matters a lot if someone wants to get the desired job. So, one must be experienced and know how to get the desired job by applying online. If you have an interview call from some organization, after the interview, you should send a “thank you” email to the hiring manager. It will bring you closer to him and your chances of hiring will increase. Most of us don’t bother such things but in reality, these things matter a lot. Always choose the right person of an organization to send an email. If someone wants to get a dream job, he must follow these techniques. We have tried our best to explain all effective job hunting techniques that will help you to find your dream job. If you are in UAE and looking for the latest jobs opportunities then you are at the right place. Just keep visiting our website on daily basis and keep yourself updated regarding the latest jobs in UAE. How to Find Your Dream Job? How to Find a Job in Dubai if You are on Visit Visa?